Killer Characters: Is it the end of our friendship? Is it the end of our friendship? 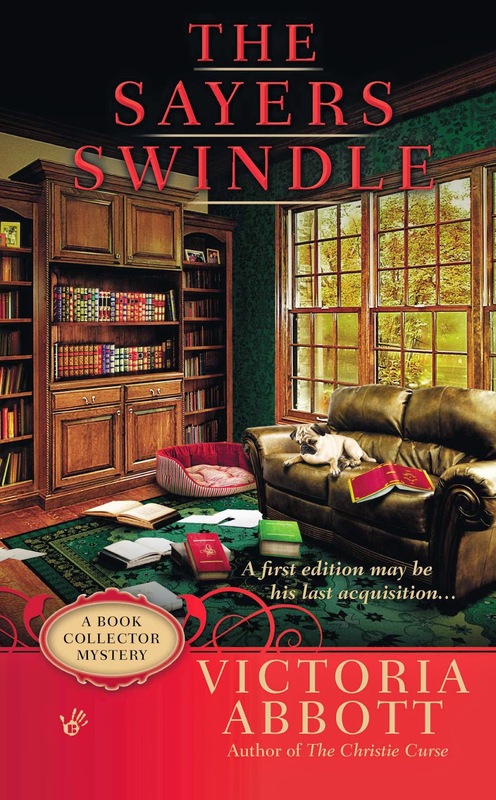 Submitted in confidence by Tiffany Thibeault from Victoria Abbott’s Book Collector Mysteries coming September 2nd! I know people must wonder what it's like to be best friends with someone like Jordan Bingham. Well, it's never boring, I'll tell you that. I'm not even sure how a woman who spends her time looking for vintage clothing and rare first editions from the Golden Age of Detection manages to end up in so many life threatening situations. Initially, I had almost suggested that taking the job as Vera Van Alst’s researcher and living up in that old mausoleum of a mansion was going to bore her to death. After all, Jordan is the first person in her family to go straight. She’s used to living on the edge. Little did I know she'd be taking more risks than I ever did as a nurse on the northern pipeline or volunteering in Africa. Even my job nursing in the Intensive Care Unit isn’t as ‘life and death’ as Jordan’s book collecting life. Our mutual best friend Lance, the librarian, had promised to keep an eye on Jordan when I was away last, but he can't resist the opportunity to play detective either! Although, you can't really call it "playing" when you end up being shot or tripping over a dead body. I used to be the one who swanned off on risky adventures but I must bow down to the queen of excitement, Miss Jordan Bingham. 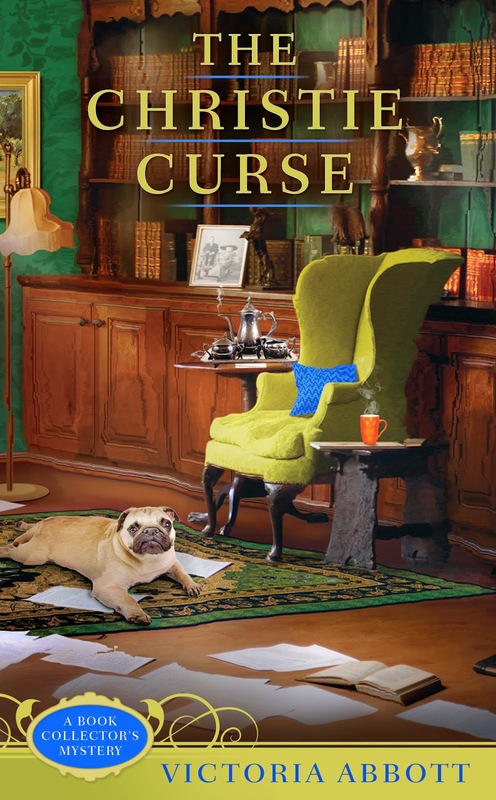 She would find a perilous mystery (or a dog in need of rescuing) in a broom closet. Since we met in college, there’s never been a dull moment with my bestie and that's what I love about her. Now Jordan’s just lost the job she loves and she has to slink back home to Uncle Mick’s. I know she’s worried about this terrible woman she calls The Wolfe Widow who has moved into Van Alst House and seems to have taken over Vera’s life Jordan is afraid for Vera’s life and her only allies is Uncle (I don’t know why that thing blew up) Kev. 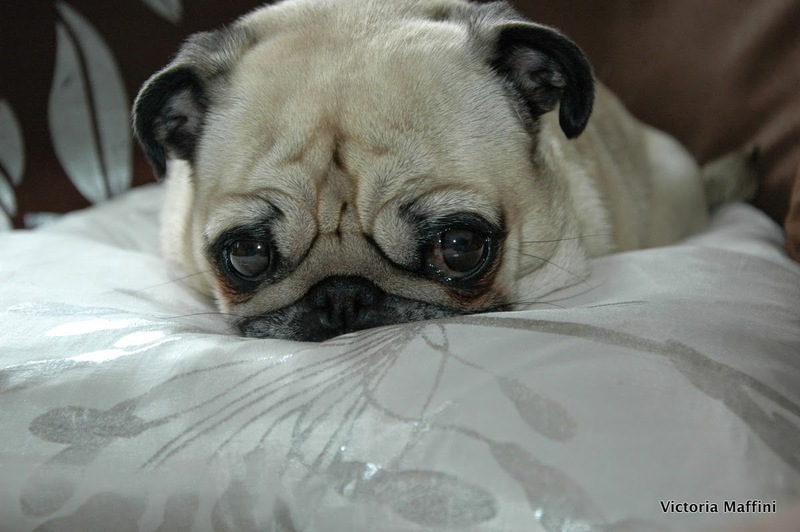 Even Walter the Pug is scared.. But this time I can’t be there for her. And I can’t tell her why. I have a secret and it’s killing me, but I have to leave her to her own devices. I absolutely can’t confide in her when she’s so stressed. Plus I need Lance with me. I hope someday I’ll be able to make it up to her. If I’m lucky. Lucky or not, soon I’ll have to crawl on my knees back to my friend. Any advice? Summer is here! During June and July, Killer Characters is celebrating the Cozy Days of Summer by giving away a gift EVERY DAY. Today, you can win a Wolfe Widow Mug (or Pug in a Mug as we call it) Just leave a comment before midnight — with your email address so we can reach you — to be entered in today's drawing for the Pug in a Mug. Besides The Wolfe Widow, Jordan and Tiff show up in The Christie Curse and The Sayers Swindle. Those were the good old days! Secrets can often strain a friendship.....hopefully they will not destroy the friendship. Can't wait to see what happens! Secrets are tough. Hopefully, once things are situated you'll be OK again. This sort of situation makes me happy I don't have a best friend-I can just worry about myself! You don't have to see a good friend all of the time to stay friends. Secrets are tough, just be ready to ask for forgiveness. Besides I bet she has a few of her own. Would love the "pug in a mug"! THANKS, for all the great reviews and giveaways this month! So look forward to book 3 in this series! I would love to win the book. I have not read any of them but if I win I would go and buy them all. I am so happy y'all are doing a story that revolves around my all time favorite sleuthing duo!! Nero Wolfe and Archie Goodwin are so under appreciated and it's about time they get their due!! Can't wait for it to come out. 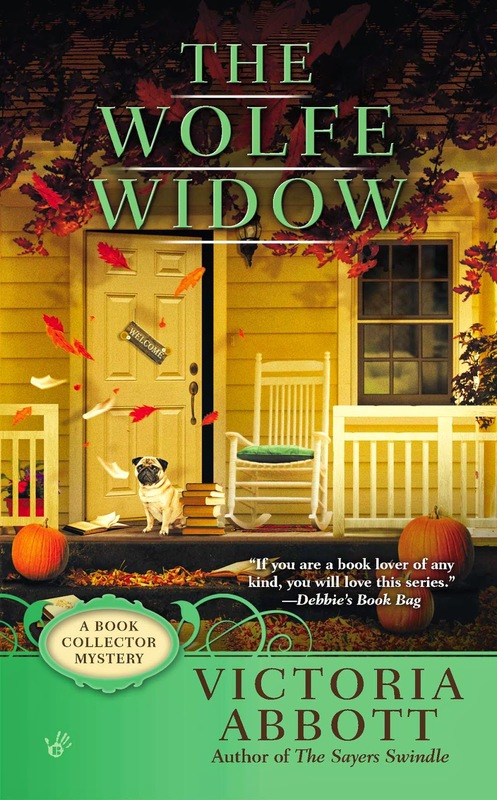 Loved the first two books in this series and can't wait for THE WOLFE WIDOW!!! Love Nero Wolfe and Archie Goodwin/Rex Stout! The first 2 books are on my TBR pile. Now, I'll have to get this one. Who could resist such a cutie! Would love the book too! Really love the coffee mug. This is a great series! Keep 'me coming! WHAT is that secret?? I guess I'll have to read the book to find our. Oh poor Walter! And keep a sharp eye on Uncle Kevin! Love the mug and the Pug! In line at airport this morning behind a medical service Pug - what a cutie, miss my Pep at home already. I'm looking forward to the this book. I collect mugs and would love to have this one. I love this series, and I love the mug. Haven't read any of these. Pug in a Mug, I like that. That reminds me of a comic strip I saw in the paper where there were about three dogs on a bed and the woman said, "Oh, no, bed pugs!" Ha, ha, get it? Instead of bed bugs, it's bed pugs. I'm a cat owner. Sometimes friends just have to trust friends, even though it may seem they aren't being the friend they thought they were. Hmm, don't know what advice I could give but honesty with friends is best, if you can't tell her let her know that but that you are still there. Walter reminds me of my mom-in-law's dog, so cute. I love this series, looking forward to this Nero Wolfe entry. a secret you can't tell your BFF? not so good. But if you can reveal it later, and it is truly something she couldn't know at first, then maybe the friendship will survive. I'm trying again! So far so good. I love the mug! Mary Jane, this time I opened a new browser and typed the url in instead of clicking through the Facebook thing. It is cats with a k. There are no caps or spaces.